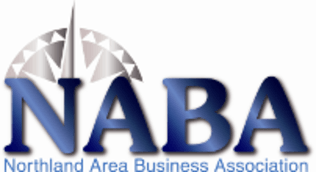 NABA is a nonprofit corporation formed to promote the interests of Northland Area business owners, managers and property owners; and to promote responsible revitalization of the Greater Northland Trade Area. Your NABA membership and participation will help ensure the prosperity and future of our Northland Area businesses and neighborhoods. To serve the Greater Northland Area by promoting businesses and developing successful relationships between businesses and community. Publish a Northland Business Spotlight column in the local media, where you can share news concerning your business, and actually get noticed! Develop a Shop Northland consumer awareness program, to not only educate area residents on the benefits of spending their money in their backyard, but actually motivate them to do so! Expand our business-to-business networking and Business after Hours, providing a host of business and social opportunities.